Construit pendant la seconde moitié du XVIIIe siècle, le sanctuaire, situé dans le Minas Gerais, au sud de Belo Horizonte, se compose d’une église au somptueux décor intérieur rococo d’inspiration italienne, d’un escalier en terrasse décoré de statues de prophètes et de sept chapelles abritant un chemin de croix où les groupes polychromes sculptés par l’Aleijadinho sont le chef-d’œuvre d’un art baroque original, pathétique et hautement expressif. شُيّد المعبد الذي يقع في ميناس جيراييس، جنوب بيلو أوريزونتي، إبّان النصف الثاني من القرن الثامن عشر، وهو يتألف من كنيسة تتميّز بتصميمها الداخلي الفخم وبزخرفتها المثقلة من النفحة الإيطالية، وكذلك من سلّم خارجي مزيّن بتماثيل الرسل ومن سبعة معابد تجسّد درب الصليب وحيث المنحوتات المتعددة الألوان التي أنجزها أليجادينيو تشكّل تحفة من الفن الباروكي الأصلي والمؤثر والمعبّر للغاية. Этот церковный комплекс, построенный во второй половине XVIII в. в штате Минас-Жераис к югу от Белу-Оризонте, состоит из церкви с роскошным интерьером в стиле рококо, наружной лестницы, украшенной статуями пророков, и семи часовен, посвященных остановкам на пути к месту распятия Христа. Их многоцветные скульптуры работы Алейжадинью являются яркими примерами оригинальных экспрессивных форм искусства барокко. Construido en la segunda mitad del siglo XVII, este santuario está situado en el Estado de Minas Gerais, al sur de Belo Horizonte. Consta de una iglesia con una suntuosa decoración interior al estilo rococó italiano, una escalinata ornada con estatuas de profetas y siete capillas de un vía crucis con grupos escultóricos polícromos del Aleijadinho, que son obras maestras de un arte barroco, expresivo y patético, de gran originalidad. Dit heiligdom in Minais Gerais ten zuiden van Belo Horizonte, werd gebouwd in de tweede helft van de 18e eeuw. In 1712 beleefde het heiligdom zijn glorietijden met meer dan 30.000 goudzoekers. De aanbidding van het heiligdom door deze pioniers zorgde voor een bloei van religieuze kunst die beïnvloedt werd door stijlkenmerken uit de barok, rococo en modern expressionisme. Het complex bestaat uit een kerk met een indrukwekkende rococo inrichting, een buitentrap versierd met beelden van de profeten en zeven kapelletjes die de kruiswegstaties van Jezus weergegeven. De polychrome beelden van Aleijadinho gelden als meesterwerken van hoogst originele, ontroerende en expressieve Barokkunst. Standing high on a platform reached by a slightly curved, divided staircase carrying on its parapets statues of the twelve prophets in soapstone (pedra sabão), the Sanctuary of Bom Jesus de Congonhas is approached via a ramped forecourt between six chapels marking Stations of the Cross (the Passos). Dating from the second half of the 18th century, the church with its magnificent Italian rococo interior is a masterpiece of the Baroque style reflecting in its architecture and ornamentation the transition period in which it was built. The soapstone statues together with the polychrome wooden sculptures depicting scenes of Christ’s Passion housed in the chapels stand as a crowning achievement of the creative genius of Francisco Antônio Lisboa, Aleijadinho, who bequeathed to humanity a truly impressive body of work. Criterion (i): The architectural and sculptural complex of the Sanctuary of Bom Jesus de Matozinhos represents a singular artistic achievement, a jewel of the human genius, reflecting the apex of Christian art in Latin America, as expressed in the work of Aleijadinho, a thoroughly original and expressive work of the Baroque style transported to the tropics. Criterion (iv): The Sanctuary of Bom Jesus de Matozinhos in Congonhas marks a crossroads in the evolution of mid-17th century religious architecture in Portuguese America, more specifically Minas Gerais, as reflected in the basilica’s flame-like, slightly recessed towers and innovative rococo style façade which converge to form an important example of Baroque art in Latin America. The Sanctuary of Bom Jesus de Congonhas remains in good condition. The material whole continues to express the full significance of the values attributed to the cultural property, representing a unique artistic achievement and outstanding example of 18th century Brazilian architecture. Despite the changes brought on by the urban growth of Congonhas, the Sanctuary remains intact and survives to this day as a religious icon of the region. The architectural and sculptural complex of the Sanctuary of Bom Jesus do Matozinhos in Congonhas has maintained its intrinsic values thanks to the effective conservation of its constituent elements including: the church of Bom Jesus, completed in 1772; the staircase, decorated with soapstone sculptures of the prophets; and the chapels marking the stations of the Cross with expressive sculptural groups representing the Passion of Christ. Despite the changes brought on by Congonhas’ urban growth, the Sanctuary remains intact and continues to stand as a focus for pilgrimage throughout the region. Since the Sanctuary’s federal designation in 1939 as an historical site, officially recognized through its registration on UNESCO’s World Heritage List, the National Institute of Historical and Artistic Heritage (Instituto do Patrimônio Histórico e Artístico Nacional – IPHAN) has worked assiduously to protect and conserve the location, with a view to preserving the cultural property’s significance and the attendant values attributed to it. The Sanctuary of Bom Jesus de Matozinhos in Congonhas was designated a federal heritage site by IPHAN on September 8, 1939. The votive offering room in the Sanctuary’s interior, also known as the Room of Miracles, where the faithful deposit objects as thanks for the blessings obtained through Our Father Bom Jesus’s divine intercession, was designated a federal heritage site by IPHAN on January 29, 1981. Construction is underway on a space designed to value the architectural and landscaping complex of the Sanctuary of Bom Jesus de Matozinhos in Congonhas and house the Baroque and Stonework Studies Reference Center (Centro de Referência do Barroco e Estudos da Pedra). The project is an initiative of IPHAN in partnership with the Congonhas Municipal Government and the UNESCO Brazil Office. Proposals have been put forward to expand the protected area around the site to include not just the immediate surrounding areas, but a substantial perimeter encompassing the Architectural and Urban Complex of the city of Congonhas, which has progressively become a center for religious pilgrimage, due principally to the Sanctuary of Bom Jesus de Matozinhos. IPHAN has implemented a series of measures in partnership with the Monumenta Program and the Congonhas Municipal Government in an effort to reclaim and value the heritage monuments located in the Architectural Complex. 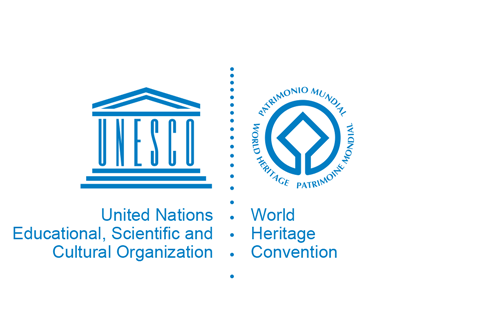 The Monumenta Program is an urban cultural heritage reclamation program operated by the Ministry of Culture and funded by the Inter-American Development Bank (IADB) through which substantial financial investments have been made, in conjunction with IPHAN, to enhance the capacity of the municipal government to manage local cultural properties and reclaim significant historical spaces and buildings throughout the city. The municipal government is currently in the process of approving the designation of the Serra de Santo Antônio as a heritage site, establishing guidelines on its occupation, including surrounding areas, with a view to reinforcing the protection of this critical element of the Congonhas cultural landscape. The current Congonhas Master Plan, enacted through Law 2457/2004, sets out rules and guidelines for the use and occupation of areas around the municipality’s historical monuments. New construction projects in the municipality are subject to joint reviews by IPHAN’s Technical Office in Congonhas and the Municipal Government, a measure intended to mitigate the degradation of the areas around the Sanctuary’s perimeter. The key challenge identified in the process is the need to adopt a management approach for the historic center centered on fostering the site’s integration with the surrounding urban landscape through a process of active inclusion of the various communities.